Oxetta Database Explorer is a tool that helps you access your SQLite, FireBird and ODBC databases in a nice graphical interface. With Oxetta database Explorer you set up one or more database connections in the left pane of the main program window, connect to any of the connections set up and run SQL queries against the connected database. 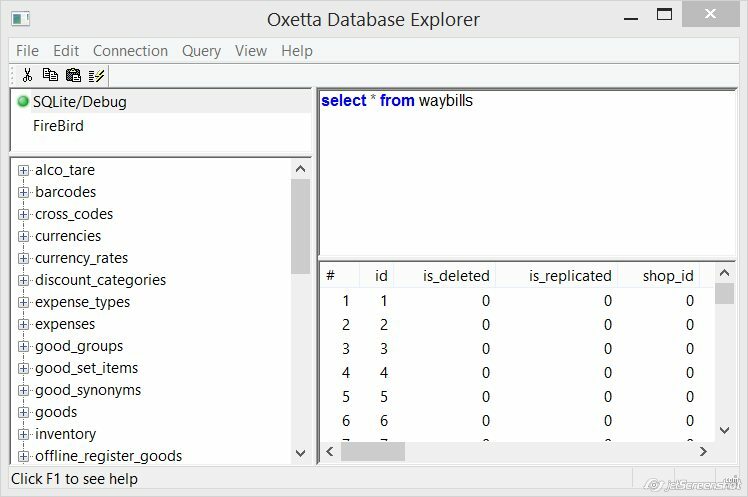 Oxetta Database Explorer is a free application, you may download it from our site and use it for free for commercial and non-commercial purposes.